Dr Andrew Jones was appointed as CEO of Ramsay Health Care UK on 1 January 2018. In the UK, Ramsay is a leading operator of private hospitals, and partner to the National Health Service, with 36 hospitals, day case centres and neurological rehabilitation units. Prior to his appointment with Ramsay, Andrew was the Chief Operating Officer at Nuffield Health, where he was responsible for the delivery of high quality services and standards across the UK. He joined Nuffield in 2007 as their first Medical Director before becoming Managing Director of Wellbeing in 2012. At Nuffield Health Wellbeing he led the successful growth of Nuffield Health’s broad health and wellbeing service strategy, which included gymnasiums, corporate fitness and wellbeing centres, as well as stand-alone medical centres, providing health assessments, nutritional therapy, occupational health, diagnostics and physiotherapy. He has led a number of corporate mergers, acquisitions and capital developments. 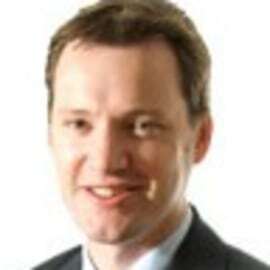 Andrew studied medicine at the University of Leeds and has an MBA from the University of Cambridge. He completed his surgical training in Leeds and, prior to his appointment at Nuffield, worked as a general practitioner in Lincolnshire. Andrew has been a Board member of Chelsea and Westminster NHS Foundation Trust since 2014.